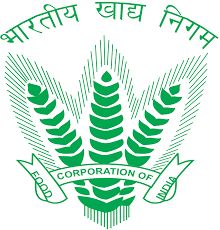 The Food Corporation of India (FCI) is one of the largest Public Sector Undertakings, dealing with food grain supply chain Management. For the post of FCI Jr.Engineers, the selection methodology will based on Written Exam (Paper 1 & Paper 2) followed by Document Verification (DV). 120 Multiple Choice Questions of General Aptitude consisting of Reasoning, Data Analysis, English Language, Computer Proficiency, General Awareness, General Intelligence, Current Events, Numerical Ability, Data Interpretation. 120 Multiple Choice Questions on related engineering branch to assess the post specific technical knowledge of relevant stream. Today we are going to provide you FCI JE Previous Year Question Paper pdf to download for free. we know its so much difficult to find previous year question papers specially for diploma engineering students so we are trying to put all branch(Electrical, Mechanical, Electronics, Civil) previous year question paper in PDF format. You can Download FCI JE Previous Year Question Paper in PDF format in just one click. No need to search anywhere else. If you have applied for FCI JE post and looking for Previous Year Exam paper then you are at right place. we are providing you one click solution to download FCI JE Previous Year Question Paper in PDF format.